Visit Ross Castle, Muckross Abbey, Muckross House and Traditional Farms, Torc Waterfall and Ladies View. Pickup is possible from your Hotel ask your hotel to ring us and the shuttle bus departs outside the Discover Ireland Tourist Office on Beech road. Killarney Shuttle Bus offers a informative entertaining way to reach all the popular destinations in Killarney easily day trips . The Shuttle bus makes 2 trips daily to the Gap of Dunloe starting from the Tourist office. 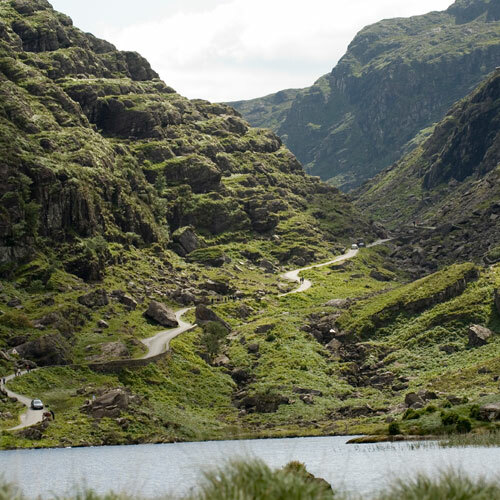 Why not try out a Gap of Dunloe adventure tour combining Bus travel, hike or take a Jaunting car through the age old glaciated valley of the Gap of Dunloe with stunning scenery and when you arrive at the summit board traditional style open boats for a leisurely cruise back to Ross castle. This day trip is not to be missed and no description can do it justice you have to experience for yourself!! *Pick up across from Tourist Office in front of Tescos. 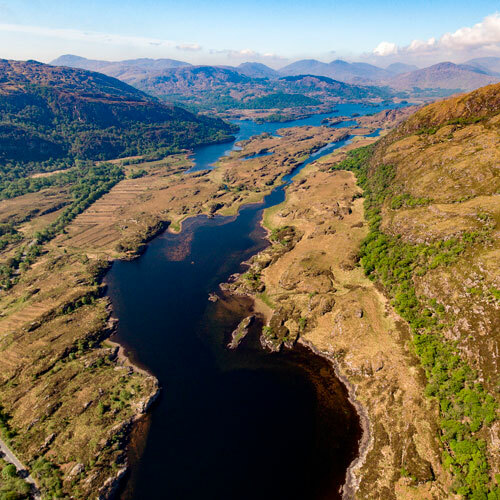 Visit Killarney’s Lake District. Stay 50 min at Ladies View. Arrive back to Killarney 15:00pm or get dropped off at Muckross House at 14:30pm and return to Killarney at 17:00pm. * Pick up across from Tourist Office in front of Tescos. *Pick up across from Info Kiosk. 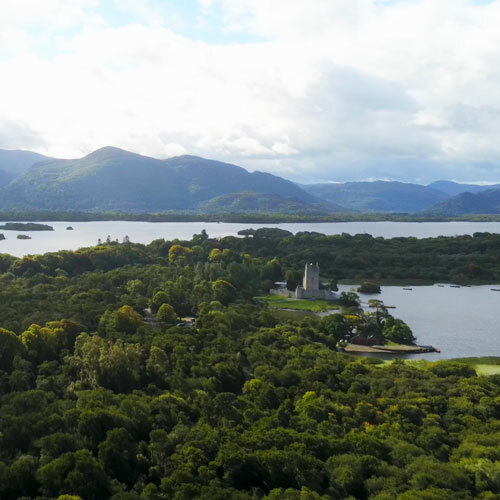 Visit Killarney’s Lake District, Ladies View, Muckross House & Gardens, Killarney National Park & Torc Waterfall. Have unlimited travel on the Muckross Route when you purchase the Shuttle to Ladies View. *Valid only for one day.